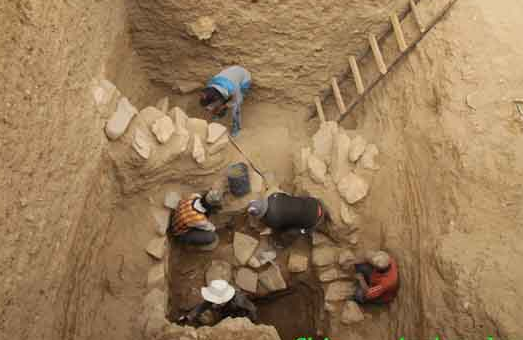 (TibetanReview.net, Aug04, 2018) – Archaeologists from across China are undertaking a joint project in the Tibet Autonomous Region’s Ngari Prefecture in the largest excavation operation of its kind in the region thus far, reported the official globaltimes.cn Aug 2. The project, started in early July and expected to last two years, is organized by China’s State Administration of Cultural Heritage (SACH) and Tibet’s Administration of Cultural Heritage, with the focus being on ancient sites located in the Langqên Zangbo Valley and the Zanda Earth Forest areas. 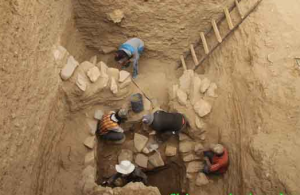 The report, citing China Tibet News, said this year’s work will also include sites dating from the Early Metal Age (ca. 2000BC-AD300). “The reason why we chose to launch the joint excavation in Ngari Prefecture is because the area has a significant place in Tibet’s history,” Huo Wei, head of Sichuan University’s School of History and Culture and a member of the project, was quoted as saying. The report noted that Ngari was home to numerous major sites connected to some of Tibet’s earliest civilizations, including the Zhang Zhung Culture (1500BC-AD645) – believed to be the origin of the local Bon religion, the Tibetan Empire (7th-9th century) as well as the Guge (9th-17th century) Culture. “Many Tibetan civilizations that we know of today can be traced back to the Ngari Prefecture; sites located in the prefecture provide major evidence that gives us insight into subjects such as the origin and the development of the Bon religion and the connections the early civilizations taking shape here had with neighboring cultures,” Huo was quoted as saying. 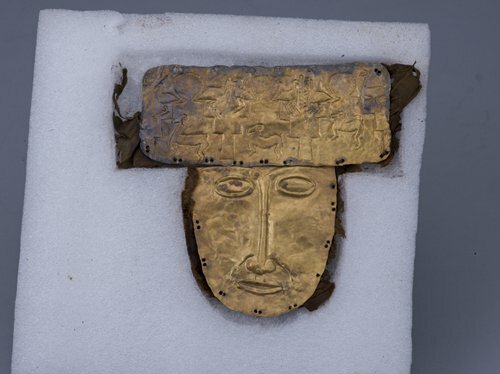 The report said archaeologists had also in recent years found gold masks, silk items and wooden containers at the prefecture’s other ancient sites that provide evidence of the region’s connections with its neighbors in ancient times. Based on the items unearthed at a number of ancient sites in the Ngari Prefecture since 2014, experts theorize that the Tibetan Plateau had already entered an era of advanced civilization even before Buddhism was introduced into the region during the 7th century, the report cited a CCTV (China Central Television) report as saying.